When your a mom birthdays take on a completely different meaning. For one I just don’t care about getting older and I’m not really in the mood to celebrate me. It all sounds like an awful lot of work. 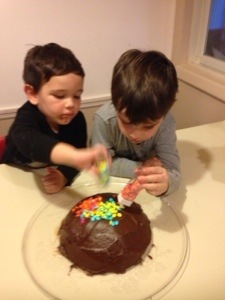 I already throw parties for everyone else all year long, but the truth is kids love a party (and cake). It’s also good for kids to learn to give back to you the person who cares for them. So this year I took my 3 year old shopping with me on my birthday for cake ingredients and when my oldest got home from school we all baked a cake and they frosted and decorated it themselves. So it may not be the prettiest cake but it was special because we made it together. This cake is so easy and so delicious. 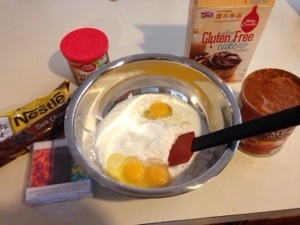 I used one box of Betty Crocker gluten free cake mix and followed the directions on the box. I then added 1 can of pumpkin pie filling and one bag of chocolate chips. In the spirit of moms birthday I baked my cake in the mixing bowl (less dishes) for double the time called for on the box because the pumpkin adds a lot of volume and extra moisture to the batter. You just want to cook it until it’s firm. 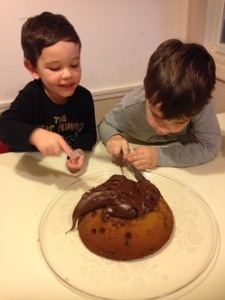 When the cake was cool I flipped it onto a tray opened a can of frosting and set the kids loose. I love the fall and one of the things I love best about fall is a warm glass of mulled wine. Mulling wine is easy and a fun treat for any fall festivities. 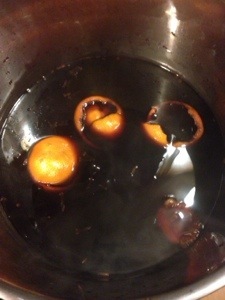 We usually make mulled wine on Thanksgiving or for Fall parties. 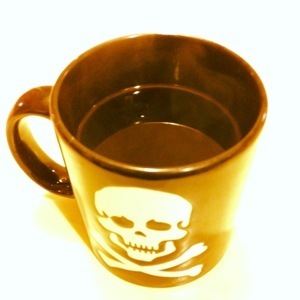 This year we mulled some wine for the wet rainy walk on Halloween night trick or treating with our boys. I think we may have started a new tradition. The measurements can be adjusted to suit your taste. This is just a guideline that I go by. You start mulling by pouring your wine in a pot adding the spices and turning the burner on high. When your wine starts to simmer turn it down to a medium heat add your sugar. Let the wine simmer in the pot for 5-10 minutes. Turn off the heat and then add the vodka. Alcohol evaporates when it’s heated which is why we add the vodka at the end the vodka adds back in some of the alcohol that has evaporated from the wine. The more of a kick you want your mulled wine to have the more vodka you should add. If you want it a little sweeter or less sweet you can adjust the sugar to suit your taste. I would recommend choosing a less expensive bottle of wine since mulling it changes it’s flavor anyway. I find the best mulling wines are ones that are a little on the sweet side already and that you already enjoy the flavor of. Traditionally mulled wines are usually red though I find a nice Catawba wine is really delicious mulled as well. This Halloween we used Bully Hills Banty Red to mull. So delicious and helped us keep warm on our wet walk through the neighborhood.